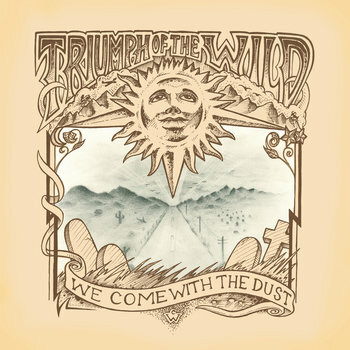 Triumph of the Wild's sophomore debut is brimming with the kind of chemistry and excitement that makes me look forward to writing this blog. Triumph of the Wild is comprised of Christy Barrett and Ryan Schilling. If they sound like a full band on the recording, it's because Schilling is a multi-instrumentalist god who plays guitar, harmonica, and foot drum with Barrett rounding out the sound with additional percussion and powerhouse vocals. The band's playful but diligent dedication to the blues makes for a sound that is somehow classic but lush with muscular vitality. This blog is dedicated to musicians who sound as if their lives depend on having their voices heard. Triumph of the Wild surely belongs on here -- they're completely at ease doing what they were clearly put here to do.